Judge Mitchell Beckloff is completely inept in handling Michael Jackson Probate Case. In January 2003, Michael Jackson's then adviser Ronald Konitzer brought in David LeGrand to investigate some people in Michael Jackson's circle. Mr. Legrand retained an investigating firm named "Interfor". One of the people Interfor investigated was John Branca, Michael Jackson's then Entertainment attorney. and John Branca. Sony was transferring money to John Branca. of 2002 Michael Jackson Will and Barry Siegel Termination letter in 2009? Judge Mitchell Beckloff should have subpoenaed Hale, Lane, Peek, Dennison and Howard of Las Vegas (the law firm David LeGrand worked for) to see if John Branca returned Michael Jackson's 2002 Will as instructed in his termination letter. Judge Mitchell Beckloff should have required John Branca to explain why how in the world he had, in his possesion in 2009, Michael Jackson's 2002 Will and Barry Siegel Resignation letter- 2 documents Branca should ONLY HAVE COPIES of in 2009. A Last Will is one of the most important documents a person signs in his lifetime. A Will is the last words of a person. It is essential to the validity of the Will that it is executed properly. An improperly attested Will shouldn't be admitted to the Probate Court. The witnesses attest that the testator signed the will in their presence on the date and location specified. 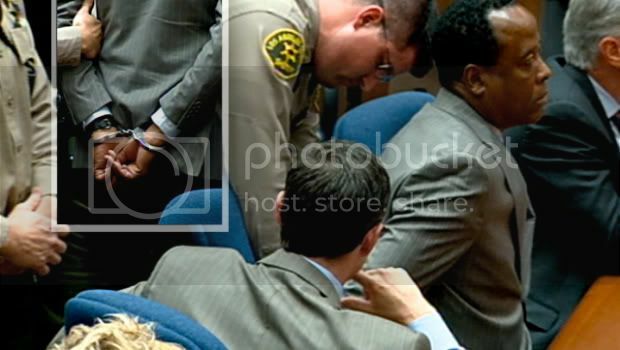 The alleged Michael Jackson Will was signed on July 7, 2002 in LA. The Estate Executors offered public a ridiculous explanation, it was a "mistake". It was signed in New York. As a matter of fact, even Howard Weitzman, the current attorney for the Estate executors, who wasn't Michael's attorney in 2002, was also in New York, witnessed that Michael signed the purported Will. What a convenient BS! Michael, 3 witnesses AND Howard Weitzman...ALL 5 of 'em forgot where they were. The witnesses had only 2 lines to read before signing. How do you not pay attention to the line that comes after "we declare under the penalty of perjury"? If they weren't lucid to know where they were, how could their veracity in testator's identity be trusted? David LeGrand testified during 2005 Trial. The following is excepts from his testimony. Q. When did you begin representing Mr. Jackson? Q. And approximately when did you cease representing Mr. Jackson? Q. How did you begin to represent Mr. Jackson? A. I was introduced to Mr. Jackson through Ronald Konitzer. Q. You testified that it seemed like everybody around Michael Jackson was interested in profiting, is that accurate? Q. You investigated some of the people around Mr. Jackson that you were concerned about. One of the people you investigated was Mr. Branca, correct? Q. You were doing it on behalf of Mr. Jackson, correct? Q. And at the time, Mr. Branca was an entertainment attorney for Mr. Jackson, right? Q. And Mr. Branca was a partner at the Ziffren law firm in Los Angeles, correct? Q. That firm also represented Sony, correct? A. I believe the answer is correct. Yes. Q. The Sony/ATV catalog was owned 50/50 by Sony and Michael Jackson, correct? Q. You were aware that negotiations went on from time to time between representatives of Michael Jackson and representatives of Sony about their respective interests in that music catalog, right? A. Well, absolutely, yes, because I obtained files from the Ziffren law firm evidencing the Ziffren law firm and Mr. Branca, representing Mr. Jackson, in just such discussions over a period of time. Q. Why did you investigate Mr. Branca? A. Because Mr. Konitzer had indicated in several conversations that he was very concerned about Mr. Branca and that Mr. Jackson had expressed concern about Mr. Branca’s loyalty. Q. Do you recall asking Interfor to do some investigation into an offshore bank account? Prosecution: I’m going to object based on hearsay. Mesereau: State of mind, Your Honor. Q. Isn’t it true that you were trying to investigate offshore accounts owned by Branca and someone named Tommy Mottola? Q. Who was Tommy Mottola? A. He was a very powerful figure in the record industry at one time. I believe he was the president of the Sony Entertainment Division in the U.S.
Q. Did you investigate the existence of an offshore bank account? A. We requested Interfor to look into that possibility, yes. A. Because we were given information from a source that appeared to have some credibility that such an account existed. Q. And why did you want to investigate that account? A. Well, to me, that’s kind of obvious. If, in fact, there was an offshore account in which money was being deposited for the benefit of Mr. Branca, that would indicate very serious violations of Mr. Branca’s responsibilities to Mr. Jackson. Q. At your direction, they looked into the existence of that account, correct? Q. Where was this offshore account? Q. The investigation did indicate Branca was involved in the account, correct? A. The investigator’s report so indicated. Q. And the report indicated that Sony was involved in that account, right? A. The investigator’s report indicated that Sony transferred money to the account. Q. Sony transferred money to that account for the benefit of Mr. Jackson’s lawyer, right? A. That’s what was indicated in the report. Q. Do you know why there was a decision to clean house in Mr Jackson’s business? A. Well, I know what Mr. Jackson told me. Q. All right. Why don’t you just tell me what Mr. Jackson told you. A. Mr. Jackson told me that he no longer had confidence in John Branca. Q. And in part of this cleaning of house, Mr. Jackson decided to personally fire his attorney (John Branca) who he had been with him for more than a decade? Q. And he wrote a letter dismissing that attorney, didn’t he? Q. You did that because that’s what he told you he wanted to do? the prosecutor objected. But Tom Mesereau managed to get them on record. Michael Jackson was sitting in that court room while his attorney presented the following questions. Implications speaks volumes of Michael's feelings re: John Branca. Q. You were concerned that Mr. Branca and that law firm might not be representing Mr. Jackson’s interests properly because of their connection to Sony, correct? Q. Didn’t you investigate Mr Branca because you were concerned that he and Sony had set up an offshore account to funnel money to so they could defraud Michael Jackson? Q. Did you think that Sony was paying Mr. Branca money to sell out Mr. Jackson? Q. And you were concerned that all of these characters were trying to steal money and take advantage of Michael Jackson, right? Q. And it was your direction that they look into that account because you were concerned that Michael Jackson’s attorney and Sony were putting money in that account so Mr. Jackson’s lawyer would essentially sell him out, right? The lie commenced with the Press Release publicising the alleged Michael Jackson Will. It claims that John Branca "represented Mr. Jackson from 1980 untill 2006". Notice how the Press Release conveniently left out John Branca's 2003 Termination? This Branca apologist blog admits that Branca was indeed fired in 2003 but states that "Michael MUST HAVE realized that John Branca did not embezzle any money because in November of 2003, Branca was once again Michael Jackson's attorney." The blogger refers to an article from New York Times: "John Branca, Mr. Jackson's lawyer, did not return a phone call seeking comment". Well, sure he didn't because he was NOT Michael's lawyer. Branca termination letter surfaced AFTER Michael's death. Neither fan community nor media were aware that Michael fired John Branca in 2003.
a well-known music industry lawyer, and Charles Koppelman." in April 2005 Mesereau blasts Branca of "not properly representing Michael due to close connection to Sony", "funneling money to defraud", "stealing money and taking advantage of Michael", "selling out Michael" and conspiring against Michael to rob his interest in Sony/ATV? All the while Michael tacitly listening to Mesereau libel his "CURRENT" attorney Branca? Frank Dileo also came into Michael’s life during 2005 Trial. Neither John Branca nor Frank Dileo was rehired, they were merely landing their support to Michael Jackson. WANNA JUMP START YOUR CAREER? is the title of a biography article published in superlawyers.com in 2006. John Branca proudly exhibits this article in his website also. If John Branca "resigned" in 2006, why "get fired by Michael Jackson"? "I refuse to let misinformation be spread in MJJ Community"
I will wait until all of your parts to this series have been posted to post my rebuttal. I have said this before and I'll say it again, even though we sit in opposition on Branca, I still hold tremendous respect for you. I don't always agree with everything you do because I often feel you are too negative with other fans but I do want to thank you for putting this blog out there. If Branca was a true friend to mj wouldn't he be at the court hearings showing his support? We cant make anyone have the same beliefs that we do toward Branca. I understand he did help Michael in his career a lot. But IT DOES NOT change the FACT that things went bad between them in 2003. KEEP IN MIND that Michael FIRED Branca in 2003 A YEAR AFTER Michael supposedly named Branca as an executor in his Will. Branca's association with Katz and that corrupted law firm and the fact that Branca is on the Sony board giving Sony the record deal to use Michael's "UNAPPROVED BY MICHAEL'S" MUSIC to make that CD "Michael" ALONE SHOULD RAISE ENOUGH SUSPICION ABOUT THE ETHICS OF THIS MONEY HUNGRY SOB. The fact that the estate is not giving a good explanation about WHY MICHEAL'S WILL SAYS IT WAS SIGNED BY MICHAEL IN CALIFORNIA WHEN HE WAS IN NEW YORK PROTESTING AGAINST MOTTOLA "BRANCA'S BUSINESS ASSOCIATE" SHOULD ALSO RAISE SUSPICION! We know Michael was MURDERED! The question is HOW MANY PEOPLE WERE BEHIND HIS MURDER? People who can't see these points are naive I guess. Even IF we're wrong, so what? Then Branca continues to be executor. But IF THEY'RE WRONG, then all they're doing is continuing to glorify Michael's blood on Branca's hands, NOT US!